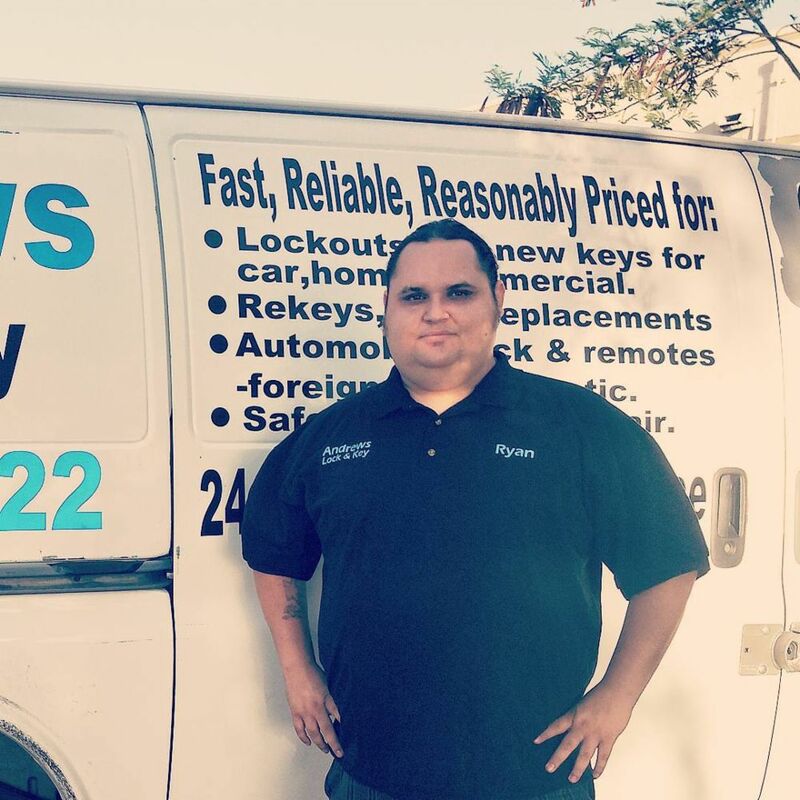 We are a family owned and operated full service locksmith company. Servicing the entire valley for 7 years. With over 15 years of experience in the Locksmithing Field. Our technicians are fully trained in Automotive, Commercial, and Residential Locks. We also Service Safe and Security Cameras Systems. We specialize in all areas of the locksmithing trade. No matter what your need is whether it is Automotive, Commercial, or Residential we are here. 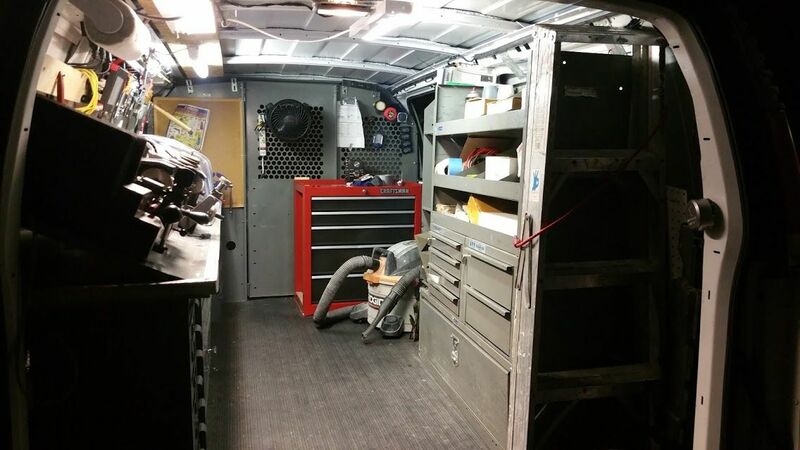 Our mobile technicians are available 24/7 for your emergency lockout needs as well. 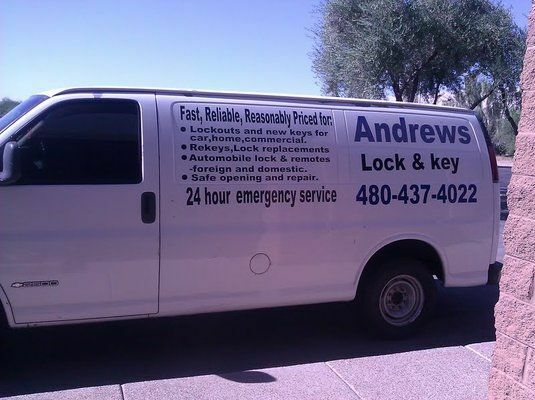 So no matter what your locksmith needs are call Andrews Lock and Key. Because we do a lot of rekeying, ignition repair, and lock repair we work with any and all products in the locksmithing industry. No matter what the brand is we are able to take care of your problem. 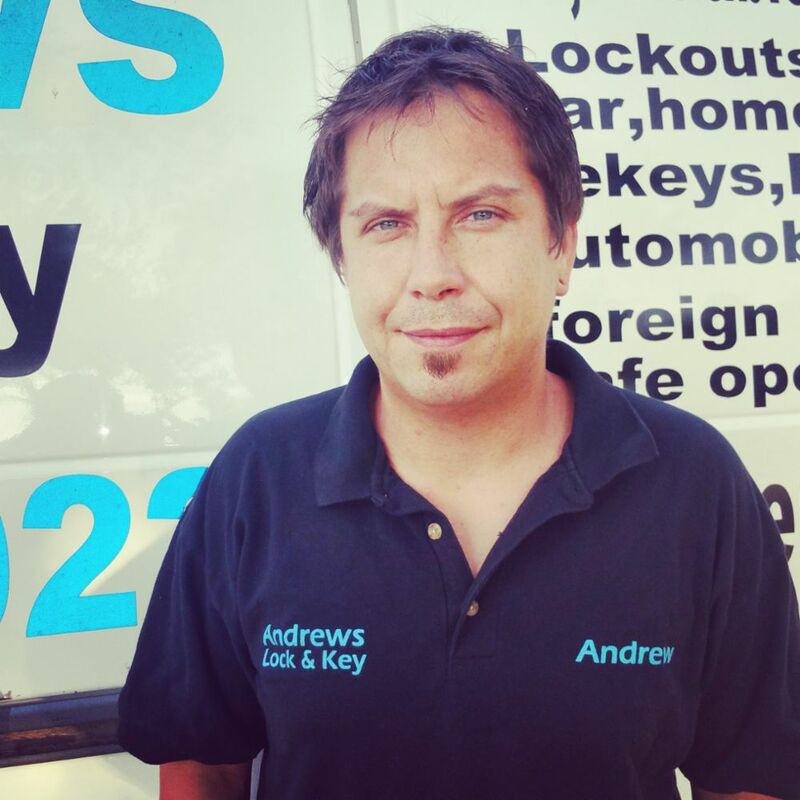 Andrew, the owner, is a member of the society of professional locksmiths. 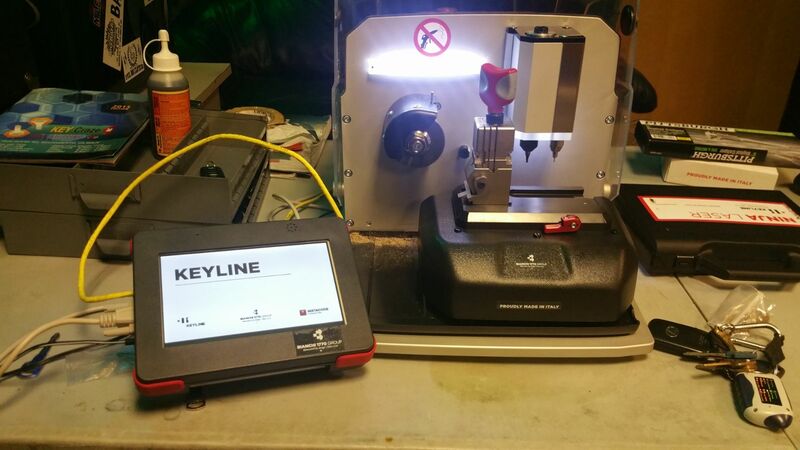 This is a nationwide network of verified locksmiths that have gone through background checks and testing of locksmith knowledge. Phoenix,	Mesa,	Chandler,	Glendale,	Scottsdale,	Gilbert,	Tempe,	Peoria,	Surprise,	Avondale	and other cities within 70 miles of Mesa.,	Goodyear,	Sun City,	El Mirage,	Sun City West and Fountain Hills	. There is a very real and prevalent problem in the Phoenix are with locksmith scammers. They advertise a "$35 and up" price to all of their customers but when they arrive on site that price jump to $100-$2000 and sometimes more. 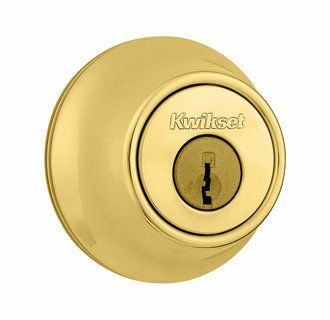 When you deal with a legitimate locksmith they will be able to give you an accurate price quote over the phone. Make sure you the name of the company you;re dealing with as well as the name of the technician they will be sending to your home. If they say their company name is "Locksmith" hang up. That is a scammer almost all of the time. We wish more customers were aware of the locksmith scams that are going on every day. We here tons of stories every day of these scammers taking people for hundred to thousands of dollars. All of which could have been avoided if they would have made sure to get an accurate price quote over the phone. Always remember that if a scammer tries to pull this bait and switch tactic with you that you can refuse service. Until they actually start work you do not owe them a thing. Ask the technician to leave, if he refuses, call the police. Do not let these scammers extort money out of you or your loved ones. Andrew is a proud father of two teenage children and also owns another business in town called underdog studios. Which is a professional audio recording studio in the Mesa area as well. Any information is good. The more details you can remember the better. Sometimes the smallest detail you might think is unimportant could be the root cause of all your issues. Be prepared. Give us as much information on the issues you are having. Most of the time even the smallest detail can potentially save or cost you hundred of dollars. We always inform customers if a quoted price is going to be higher or lower after we arrive before starting any work. Every day is a little bit different but for the most part we spend our time rekeying residential and commercial locks as well as making keys for vehicles that the customer has lost. It is impossible to get an average job count from year to year due to the nature of the work we do. Sometimes we get commercial jobs where we are installing locks on 200 doors which can take a few days up to a week. And sometimes we are able to know out 15 small jobs in a day. We get a ton of questions but the most common would probably be "How did you become a locksmith?" or "How do I become a locksmith?" or sometimes "Did you go to school to become a locksmith?". Usually we let people know that this is a master trade and the best way to learn is by taking on a traditional apprenticeship. There is some schooling you can do to help out but learning on the job will teach you everything you need to know. The owner got started as a locksmith nearly 15 years ago. 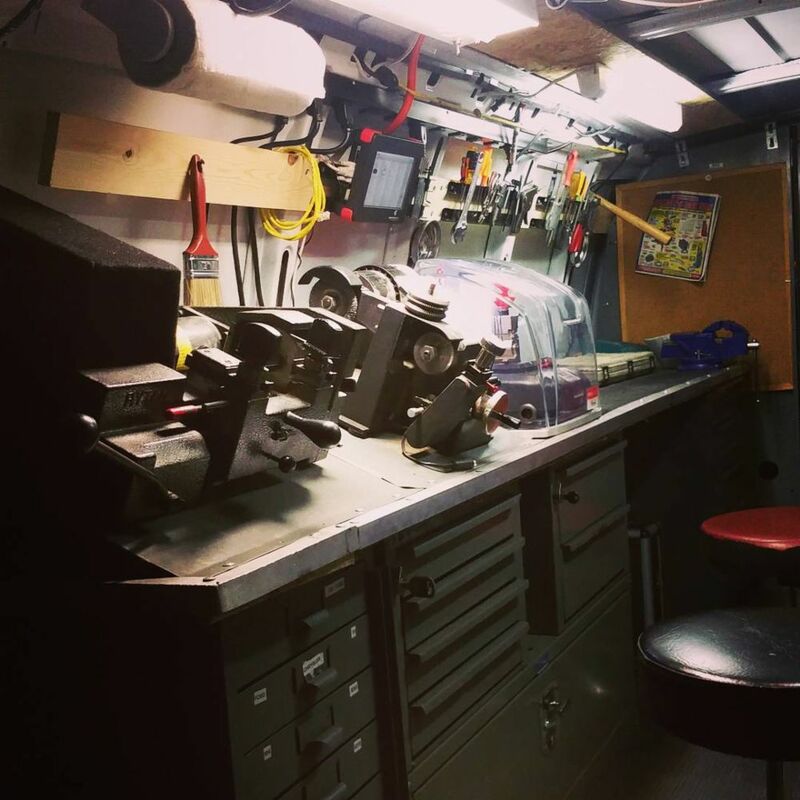 Andrew has worked for a small handful of lock shops in town and about 9 years ago he decided it was time to strike out on his own. Thats when Andrews Lock and Key was born. Ever since Andrew has been striving to provide excellent, ethical. and honest service in the valley for all of his customers. We are proud of every job we do. We strive to educate and assist our customers to the best of our abilities every time we are called out. One job in particular though does stick out. It was last week we got called out to rekey a condo for a realtor. We got to the job site and found out that this was actually an eviction. We greeted the constable, he let us know no one was answering the door and asked if we could get him inside? We said sure and got to work trying to pick the lock. Shortly after we started the tenant called out asking what was going on. We stepped aside and let the constable handle the situation from there. We headed down stairs for a few and realtor asked the police if they could allow us to get to work. They said sure but asked that we try and stay out of the way as much as possible. After a short while of over hearing the conversation between the tenant, the constable, and the police it was obvious this person was very mentally ill. She turned to our technican at one point and said "you think I am crazy just like everyone else!". the technician politely said to the women that "No ma'am I don't think you are crazy. If you truly believe that you have supernatural star power abilities than I am sure it is true. If you think evil beings have implanted listening devices in your brain it is probably a good idea you listen to the paramedics and go to the hospital and get checked out." The tenant smiled and after a few short questions to the police she agreed. After that the job went smoothly, the tenant was put in to an ambulance and taken to the hospital, the police shook the hand of the tech and thanked him for handling the situation so well. We are available 24/7 for all of your emergency needs. If something goes wrong after the work is complete we offer a warranty on all labor performed and the majority of the new hardware we sell comes with a factory warranty we honor as well. If we are not able to offer a warranty due to a pre existing issue we will always inform the customer. Fixr has validated the email provided by Andrews Lock and Key. Fixr has reviewed the content provided by Andrews Lock and Key to match our community guidelines. Andrews Lock and Key has been rated with 50 experience points based on Fixr's rating system.